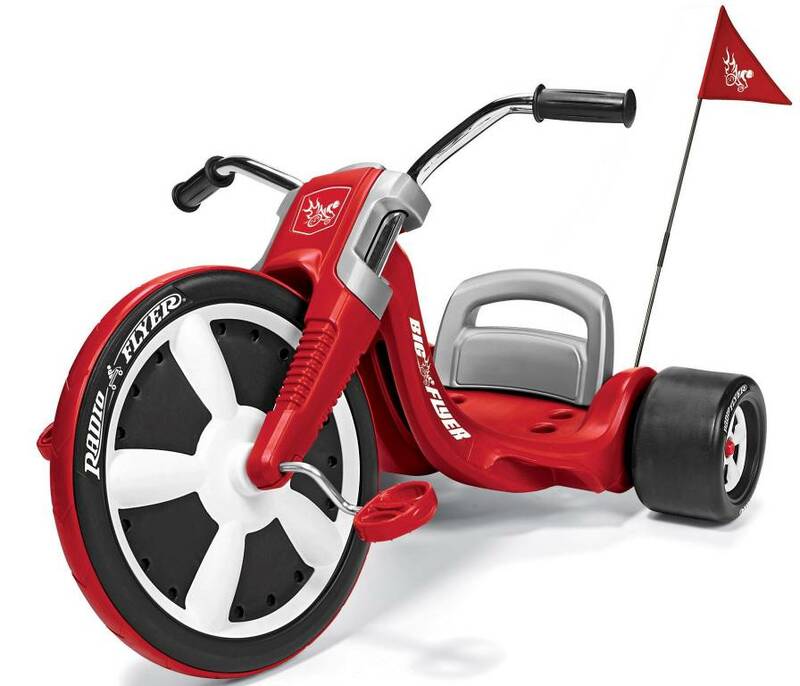 The Radio Flyer® Big Flyer is a classic riding toy that any child would love. Reminiscent of trikes from years past, this Big Flyer has real chrome handlebars with comfortable molded handgrips and realistic gauges. The seat has 3 adjustment positions to fit your child's size. The big front tire has performance grip tread, while the back wheels are mega wide slicks. A racing pennant increases the level of cool and adds greater visibility. 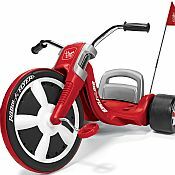 Let your child enjoy the same fun you did with this awesome big wheeled trike. Recommended ages: 3 to 7.